I was enormously excited about reading this Little Black Classic. Mum’s side of the family are from Devon (with a little bit of Cornwall), born and bred. My sister and I spent idyllic summers at our Grandparents home in Plymouth, flying kites on Dartmoor, paddling for shells at Bigbury and consuming countless picnics in orchards and moorland. Every memory of these holidays glow in a hazy sunshine. Perhaps this is my memory romanticising these happy days, but either way they’re very precious memories. 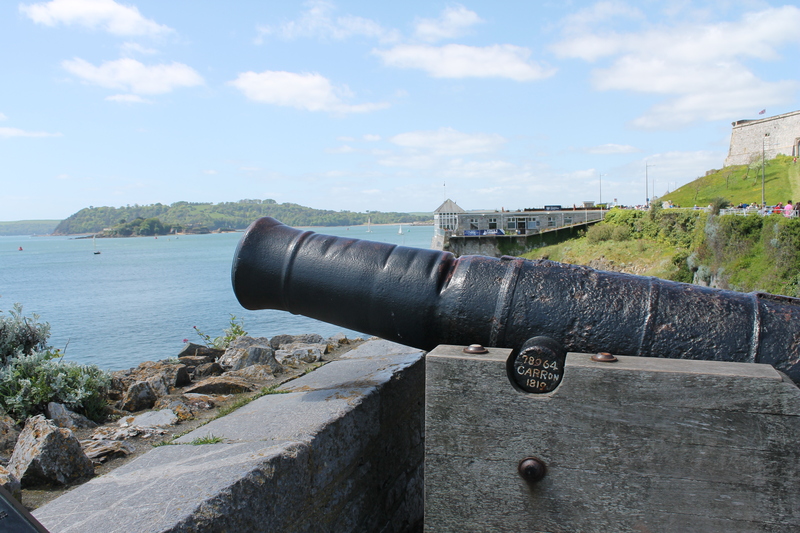 Sir Francis Drake played a big role in these idyllic fortnights. Born in Tavistock, a charming market town that we would visit every summer, Drake moved into Buckland Abbey, 30 miles outside of Plymouth, after his circumnavigation of the globe. There are countless, fascinating exhibits here, but one stayed with me. It’s a large statue of Elizabeth I and King Philip II of Spain playing chess, the chess pieces taking the shape of ships rather than the usual pawns and knights etc. Elizabeth sits bolt upright, calm, confidently looking on at her opponent. On every visit, I would stand and stare at the two of them for as long as I could. It’s an electrifying statue. It instilled in me a general fascination in the Spanish Armada and Drake’s role in this great naval battle, fighting for his Queen and country. This only delighted my Mum and Grandparents, Plymothians being fiercely proud of Drake and their city’s connections with the great navigator. Last weekend, I visited my Grandma in Plymouth. Some ten years since our summer holidays in Devon, I still love visiting. It’s my home away from home, and I couldn’t resist taking ‘The Voyage of Sir Francis Drake Around the Whole Globe’ with me. At Paddington, I settled down in my seat, very excited to read of Drake’s adventures as I hurtled toward his old stomping ground. This Little Black Classic is divided into two parts, the first focusing on Drake, otherwise referred to as ‘the general.’ The second follows Thomas Caddish of Trimley, also departing from Plymouth, but I will be concentrating on my old friend Drake in this blog. 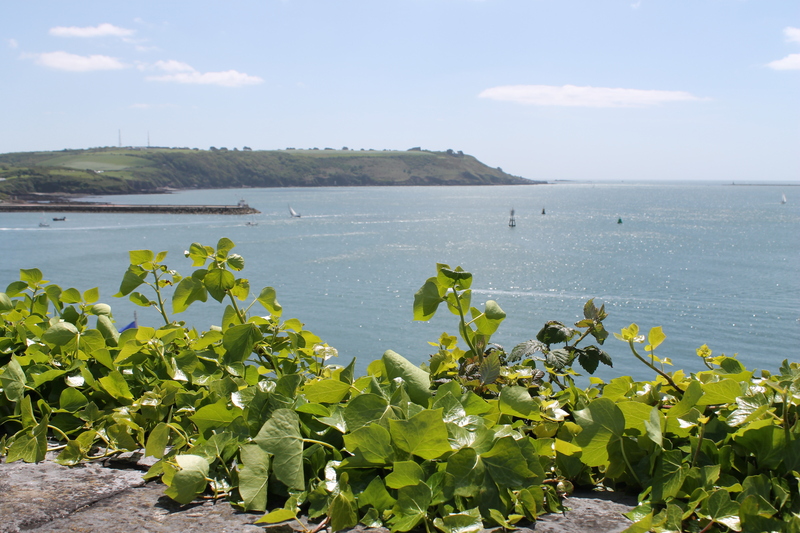 In November 1577 Drake and his fleet of five ships and 164 men left Plymouth, heading first for South America. 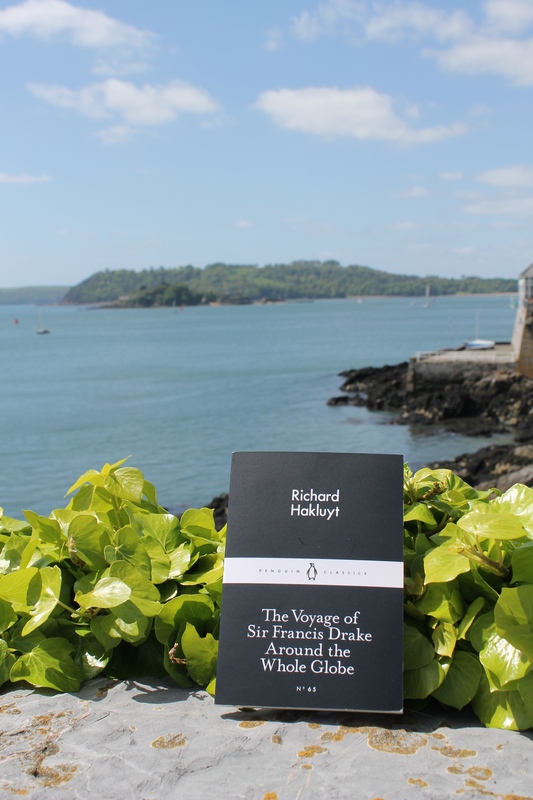 Hakluyt walks us through every stop and discovery en route, including wildlife, vegetation and people of the land. 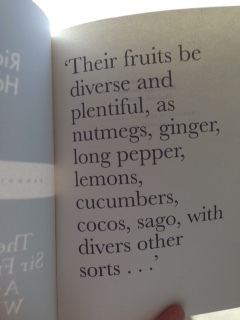 Is this the first recording of a coconut, in the English language at least? From the west coast of Africa, Drake and his fleet sailed around South America, the voyage thus far being smooth, prosperous and relatively uneventful. Enter Mr Thomas Doughty, a member of the crew threatening the voyage with mutiny. This seems rather contrived. A crew member threatens mutiny, he accepts his punishment seemingly peacefully and hugs the man whose power he usurped before his execution. Where’s the blood, the shouting, the protestation, the tears, the gore, the pleading? It’s obvious Hakluyt is writing spin. When the Queen read his account on their return back in England, she would be presented with a problem the voyage faced, Drake calmly taking charge of the situation and justice prevailing. 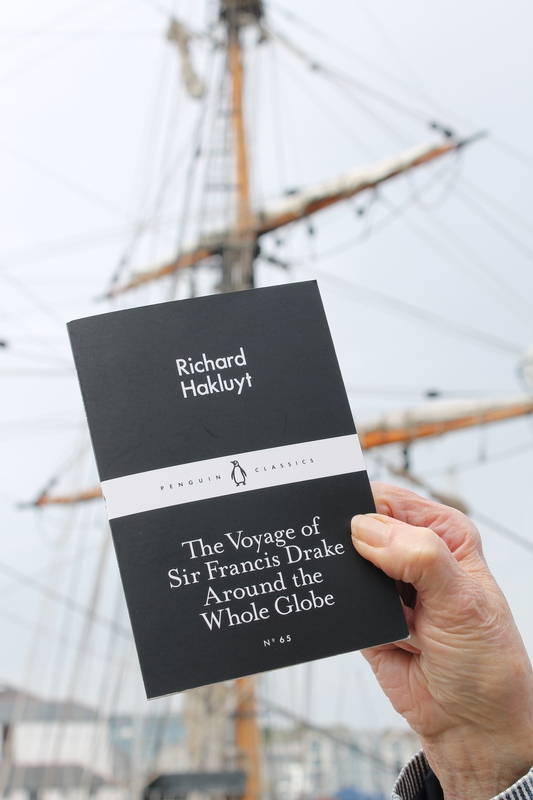 Ultimately, Hakluyt is writing a portrayal of Drake, not an account of the voyage and its crew. In the same vein, there are a lot of references to the inferiority, unnecessary cruelty and foolishness of the Spanish, the great enemy of the English during the Golden Age of Elizabeth. There are countless references of tribesmen and kings welcoming the men, giving them gifts of foods, cloths, tobacco and jewels. The English are being glorified, and yet we pillage and steal throughout. On one island, the crew discovered flightless birds and in just one day slaughtered 3,000 birds for sustenance. In Tarapaca, the men stole 13 bars of silver and 4,000 ducats from a sleeping Spaniard. Hakluyt is separating the English from the Spanish, but they are evidently one and the same. Even here Hakluyt seems to draw attention to the morality of a social group, but their actions are arguably questionable. 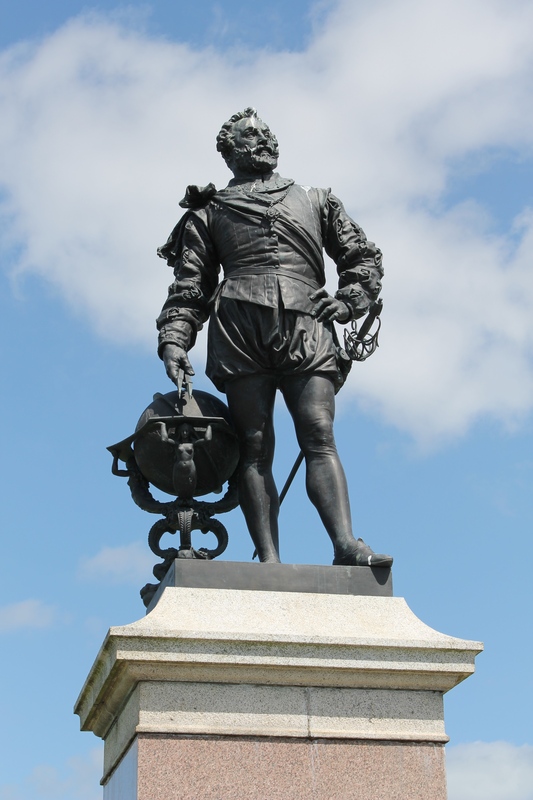 When the fleet returned and Hakluyt’s account was printed, this voyage must have been utterly groundbreaking. A man and his men experience all sorts of wild and unexpected adventures to return to their beloved, glorified motherland. It’s almost a Tudor version of The Odyssey. As for Drake, I can see why Plymothian’s worship him. He’s depicted as fair, gracious, humble, although today I find this entirely questionable. In A-level history, I was required to write a timed essay on a topic of my choosing. Most of my classmates wrote of recent history, like the World Wars or the Suffragette movement, or sensibly something that we had studied. Picturing that statue of Elizabeth and Philip playing chess, I chose to write about the Spanish Armada, a topic I had never studied at school. This was not a hardship. I consumed tomes about the warfare, the differing cannons used, the varieties of bullets, the weather along the English Channel, tactics, leaders, ships. I essentially became a self-taught Armada nerd. My essay’s conclusion praised Drake. What a guy! What a leader! He won it for us and for his Queen. My manic fan girl writing definitely lost me points. It was ultimately the English weather that won it for us, unpredictable that it is. But we’re prepared for that, and the Spanish weren’t. I didn’t write too much about the ships he set alight and pushed toward the Armada. That was the real Drake. 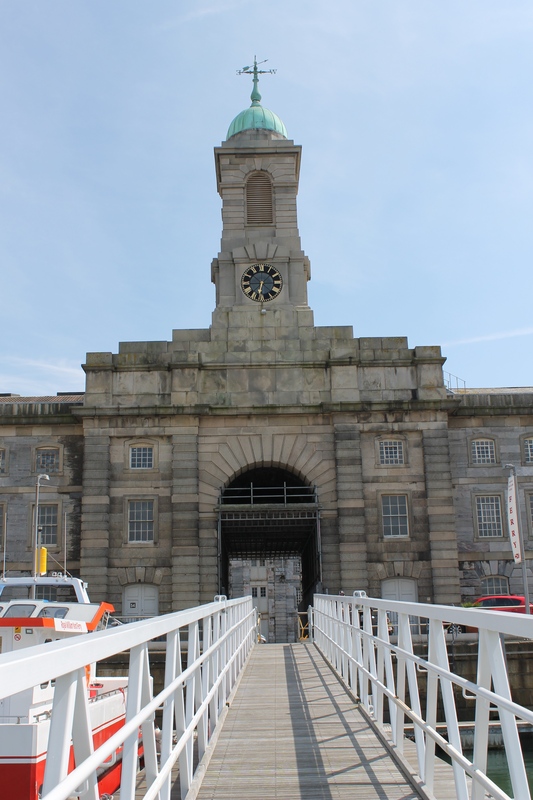 Today, with the Armada on our minds and the Little Black Classic in my hand, Grandma and I set off on our own voyage from Royal William Yard (below), once a depot for naval victuals. 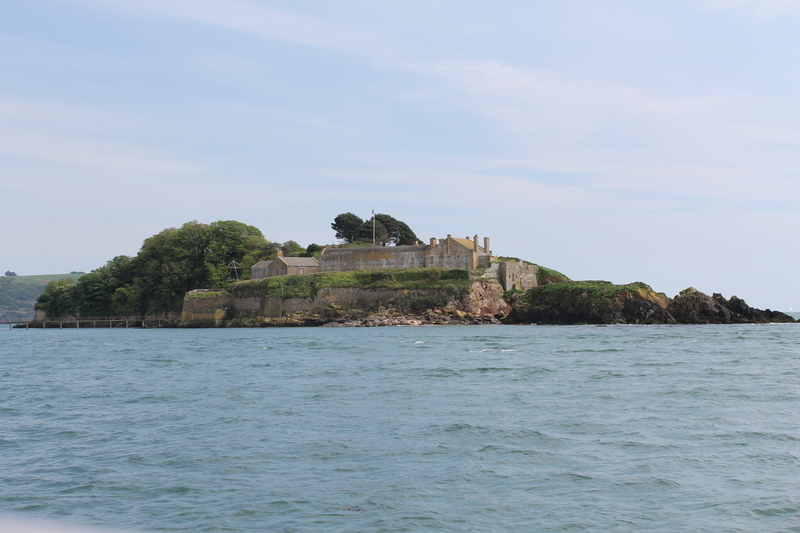 Our destination was the Barbican, but the really adventure lay in passing Drake’s Island (below), the eery, now abandoned spit of land where Drake allegedly set sail from on the voyage that Hakluyt describes. Drake was made Governor of the island in 1583. The following day, I marched my poor Grandma up on to Plymouth hoe to greet the statue of Drake. The sun was dazzling, sending beams sparkling across the water. The grass on the hoe rivalled that of my childhood memories. There he stood, facing out to sea, his eyes searching for any approaching threat as his hand reaches down for the infamous globe. Alas poor Drake, like many statues, is the victim of low-flying birds, his hair and shoulders streaked with an off-white. 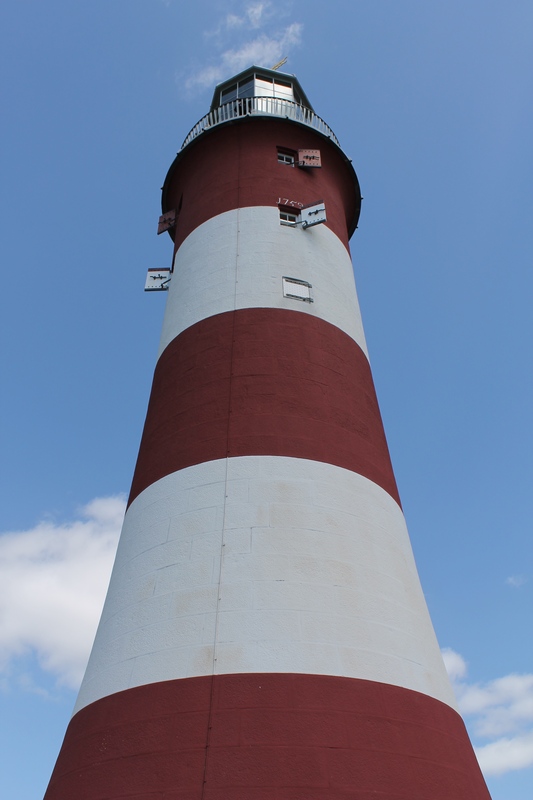 It was a real thrill to see him nonetheless, standing tall over our beloved, beautiful Plymouth. 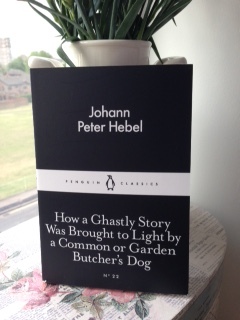 Next time I’ll be blogging about Johann Peter Habel’s ‘How Ghastly a Story Was Brought to Light by a Common or Garden Butcher’s Dog’ (I thought The Voyage of Sir Francis Drake Around the Whole Globe’ was a long title…’).